What are the special features of your school? What age group children do you take in the school? What is your admission system? What is the ratio between the child and the Teacher? Do you converse in English with the kids? What are your school timings? Do you provide school transport? Books will be kept in the school. What method do you follow to teach the children? 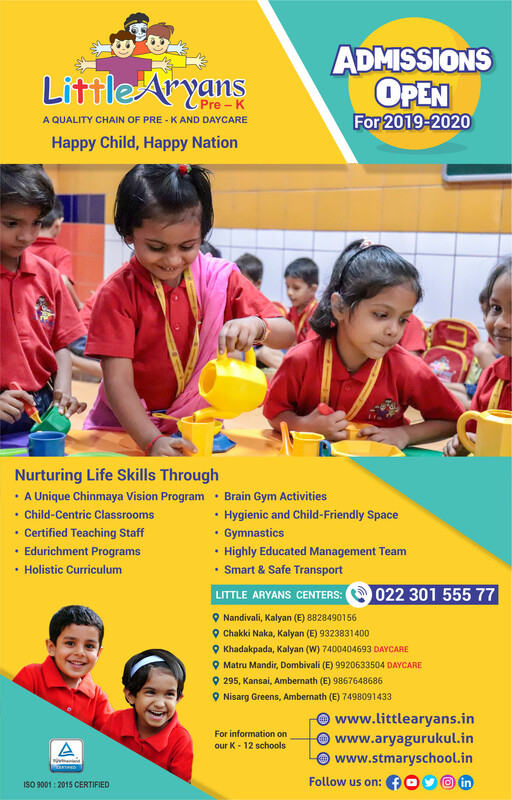 The curriculum and methodology is a combination of the traditional Montessori and the interactive participatory approach, to ensure that the child adds value to his growth – each moment, each day. CVP is integrated in the curriculum. How does Little Aryans prepare for the formal school? A child after being groomed from Little Aryans feels attracted to knowledge, culture, and environment and most importantly to good virtues. Our curriculum is designed to enable the children to enter any main school i.e. SSC, CBSE, ICSE or International school. Do you organize summer camps? We will be organizing summer camps in the near future.